In a world where there is no shortage of prepaid debit cards, the NetSpend Visa card sets itself a part with many benefits found nowhere else. This week, we take a look this prepaid credit card and contrast it to some of its competitors. The FDIC reports there are 60 million American consumers who are considered unbanked or underbanked. These consumers either don’t qualify for or have access to traditional banking methods. That doesn’t eliminate the need for the ability to pay bills online, complete shopping transactions via telephone or the internet or even the need for a viable way to build savings. The solution is the prepaid debit and credit card. While the NetSpend Visa card has many of the same benefits as similar cards, it does have a few that we’ve not seen offered before. Along with a guaranteed approval, free direct deposit for faster paydays, and of course, no interest, you’ll also enjoy free cardholder to cardholder money transfers and you can even open a savings account with a 5% APY. This is definitely a new twist to the traditional prepaid debit cards. Not only do you not have to worry about interest rates, but there’s also no annual fee, making it an affordable consideration to add to your financial toolbox. Open your account with as little at $10 and you rest easy knowing your account is FDIC insured and it has an A+ rating with the Better Business Bureau. Along with direct deposit, you can also reload your NetSpend at grocery stores, gas stations and thousands of other retailers. To date, there are more than 100,000 locations throughout the United States where you can reload your card and NetSpend has issued more than 16 million prepaid MasterCards and prepaid Visa cards. 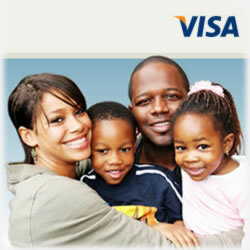 Finally, you have online access to your account and transactions twenty-four hours a day, seven days a week. There is an account maintenance fee of $5.95 per month; however, that fee is waived if there have been any debit or credit transactions or even a balance inquiry each month. Meta Bank (the card issuer) charges $2.50 per ATM transaction. Wondering if NetSpend is a viable option for your needs? NetSpend Corporation is an Austin, Texas company with a mission to develop products to serve the needs of those under- and unbanked consumers. The company was founded in 1999 and has built its brand to include 7 million consumers who now have an alternative way to shop, pay bills and save without the corner brick and mortar bank. The company proudly lists among its many accomplishments the first ever debit card that benefits charitable causes as well as the first corporation to introduce a debit card that consumers can pair with a savings account that is also provided by NetSpend. It employs close to five hundred people who are dedicated to the many industry compliance considerations, including an impressive customer service team that’s ranked high in the industry for its quick response and knowledgeable people that define it. NetSpend was also the first prepaid card company in the financial industry to ever hit the $1 billion in loads for a single month. Finally, NetSpend’s revolutionary approach has earned it many industry awards, including the Entrepreneurial Spirit Awards by Minorities in Business Magazine; Portfolio Company of the Year, an annual award issued by the United States Small Business Administration and the 2004 Ernst & Young Entrepreneur of the Year. Finally, INC. Magazine added NetSpend its top Top 100 List of Financial Service Institutions in 2008. While these are certainly impressive, the really understand the power of these awards, consider the timeline. The country was just entering into a massive recession in 2008 and banks were folding, sometimes at the rate of hundreds a week. Yet NetSpend maintained its foundation and mission and as a result, emerged far stronger than many American banks. As you can see, there are many reasons to consider NetSpend Corporation. It’s a superb choice for those looking for a reliable prepaid credit card that allows them to build from it. Learn more or apply here. Truly, the Netspend card has differentiate itself from the rest of the Prepaid cards company. I am using the card and I have never had any reason to complain on the services received.